Become part of a growing and successful dental practice. We focus on an exceptional patient experience. We have been in the Columbus Ohio community for over 25 years. Not only do our new patients deserve the best in customer service and talent, but our patients of many years deserve quite the same. 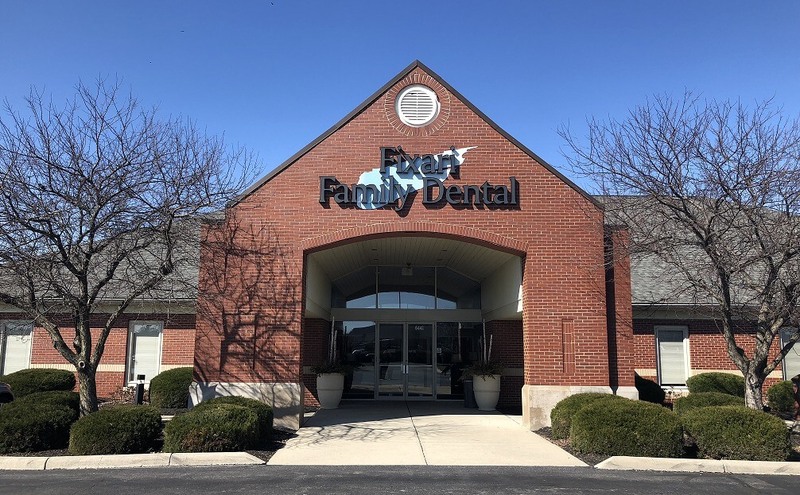 Both our Columbus and Canal Winchester locations continue to attract new patients, so we want to serve them with the very best talent available. We offer benefits including continuing education, health and dental benefits, training, and opportunities for leadership positions and development. We respect our Business Assistants as the strength of our Business, and due to our rapid growth have opportunities for a select few to join our current top-notch group of Professionals. At Fixari Family Dental, we focus on building a foundation of trust by treating each of our patients as special individuals – this starts by treating each of our staff members as special individuals. We never lose sight that each person on the team is a contributor to our success. Strong customer service and communication skills are a must – as our patients deserve the best we can offer. As a member of our Business team, you will be treated like the professional you are; we invest time and resources to make sure you are kept up-to-date on progressive business practices and contemporary patient care processes. Fixari Family Dental offers a competitive total compensation package, continuing education, and most importantly, the chance for strong performers to grow upward with increasing responsibilities and leadership opportunities. To apply for position respond to this posting with a copy of your resume and cover letter. We respect our Assistants as the backbone of our Clinical Team, and due to our rapid growth have opportunities for a select few to join our current top-notch group of Professionals. We want SMART people with excellent clinical aptitude. At Fixari Family Dental, we focus on building a foundation of trust by treating each of our patients as special individuals – this starts by treating each of our staff members as special individuals. We never lose sight that each person on the team is a contributor to our success. As a member of our Assistant team, you will be treated like the professional you are; we invest time and resources to make sure you are kept up-to-date on state of the art clinical practices and contemporary patient care processes. Fixari Family Dental offers a competitive total compensation package, continuing education, and most importantly, the chance for strong performers to grow upward with increasing responsibilities and leadership opportunities. With an emphasis on clinical excellence, strong relationship building, and a remarkable patient experience, Fixari Family Dental continues its exceptional growth in its hygiene team. We offer great pay and benefits, with opportunities for even more through “great care” incentives. But it is the high-energy culture of fun, support from other hygienists, great new patient flow, and a great team of enthusiastic doctors that make our practice so successful. You can’t have bad days here! Fixari Family Dental places great emphasis on the growth and development of its team with group and individual training and coaching. And if you’ve ever believed you wanted to be a leader and a teacher to others, we have opportunities there, as well. If your personal and professional growth, as well as the culture you work in are a priority for you, please contact us immediately before this opportunity gets taken.